Over the past couple of years we have noticed an increase in our clients' wishes to purchase miniature printed literature, such as, credit card sized booklets, fold-out cards and pocket-sized publications. 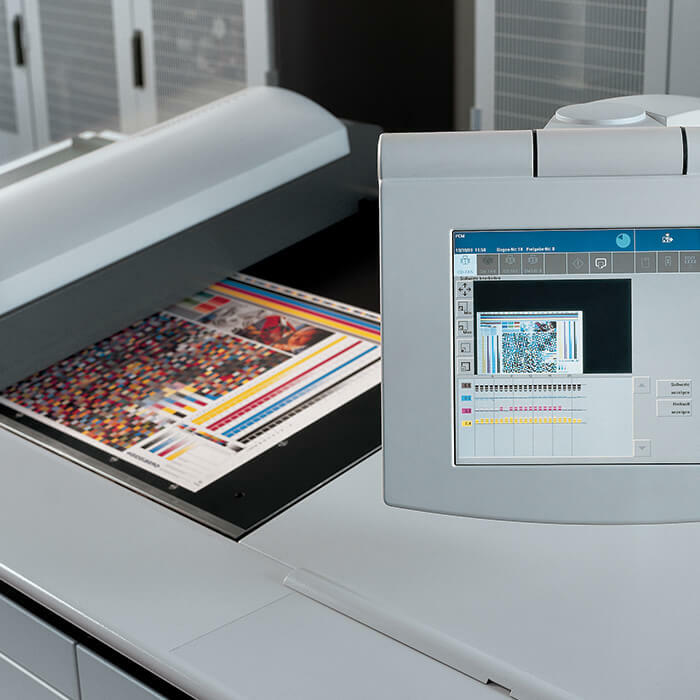 Typically, most miniature print finishing is carried out by specialist print finishing companies, however it became apparent to us there was a lack of finishing capacity for such products. On top of that, the prices these finishing companies can charge were vastly inflated when compared to normal publications. We decided to increase our finishing capabilities by investing in a miniature folding machine and adapting our stitching line, enabling us to finish a wide variety of miniature printed literature. As a long running print company we have honed our knowledge and skills so that we have the basics nailed. However, we wanted to continue growing, so now we have numerous speciality services to cater to those looking for something more. We pride ourselves on adding value to jobs, either by showing clients ways to save money or by showing them innovative solutions to help make their print stand out from the crowd. We are constantly looking at ways of reducing costs for our clients by investing in our equipment or modifying existing equipment to speed up the production process. Haslam Printers deliver to a number of fulfilment houses throughout the UK. We carefully check the booking-in procedures, paperwork that is required, size of pallets, height and weight of pallets and make sure we adhere to the specific instructions. Our MIS flags up if there are any special/unusual requirements a particular fulfilment house might have to ensure we meet their needs. We have a fully integrated MIS that produces our estimates, job bags, box labels, delivery notes, credit notes and a range of reports. The delivery notes and box labels are created from the original job file. The information on our standard box label includes: Job Title, Job Number, Stock Code, Quantity per box, Box number 1 of 2 of etc (total number of boxes). We have a number of clients with special requirements that need more information on the box label. Our system is fully adaptable to include any relevant information. We create a delivery note for every delivery we make whether it is a full delivery or part delivery. If a part delivery is made the delivery note will indicate the total quantity ordered and the quantity delivered on that delivery. Our standard delivery note includes: Customer Name, Job Title, Job Number, Delivery Address, Number of Parcels, Full or Part Delivery, Delivery Method (our van, courier, sales exec), Customer Signature, Time of Delivery. We obtain proof of delivery on the day of delivery. This information is input to our MIS and proof of delivery can be automatically emailed to the clients. This is a service we already offer a number of clients where the delivery addresses or location is away from the offices of the person who placed the order. Some of our clients find this service invaluable. Most of our clients supply artwork in either PDF or InDesign file formats. As part of our quality procedures we ensure our departments are using the most up-to-date software. We offer a full proof reading service; on 90% of the jobs we proof read we find errors. Paper proofs would be supplied with any suggested amendments highlighted; the client has the final say whether the corrections are made.